Joomla is one of the most-widely used Content Management Systems in use on the web today, but it hasn't always been that way. When Joomla was first released on 22nd September 2005, version 1.0 was one of the earliest versions of a CMS and far from the CMS which we know an love today. There are still hundreds of websites running Joomla 1.5 and we are regularly contacted to update, upgrade and migrate those Joomla 1.5 websites onto the latest version. Do you need our assistance with your Joomla Upgrade? 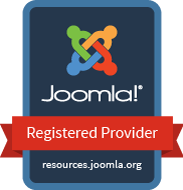 If your site is still running an older version of Joomla, you're not along! At Storm, we regularly provide Joomla Upgrade Service and Joomla Migration Services to clients. If your website is still running an old version of Joomla, and we're talking about Joomla 1.0, Joomla 1.5, Joomla 1.6, Joomla 1.7, Joomla 2.5, Joomla 3.x, our professional Joomla Update Service is perfect for you! Want to discuss our Joomla Upgrade and Migration Services?